PEOPLE OFTEN ASK, WHAT MAKES YOUR VALVES SMART? 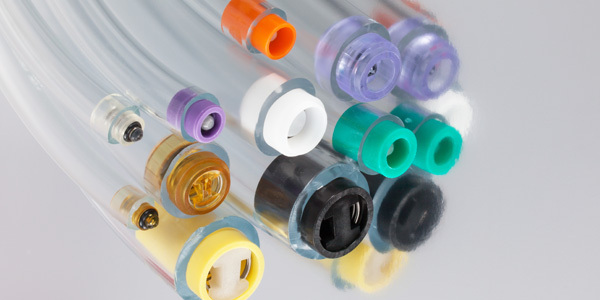 The answer is the ability to take customizable components - plastic body material + o-ring and pair them with a precise opening pressure. This custom configuration coupled with a wide range of styles allows for millions of possible combinations to create an accurate and reliable low pressure, low flow check valve for a specific design criterion. Ideal for liquid or gas applications, our valves are: in every industry, economical, FDA & NSF compliant, corrosion resistant, and able to withstand operating temperatures ranging from sub-zero to 400°F - depending on materials specified. The thermoplastic materials used in these check valves provide improved corrosion resistance and make them a superior alternative to comparable metal valves. The majority of our check valves incorporate a low inertia poppet design with double-tapered o-ring seats to achieve a fast, positive seal in ultra low pressure applications. Additionally, most of our check valves can also be used as pressure relief valves as long as the o-ring side vents to atmosphere. 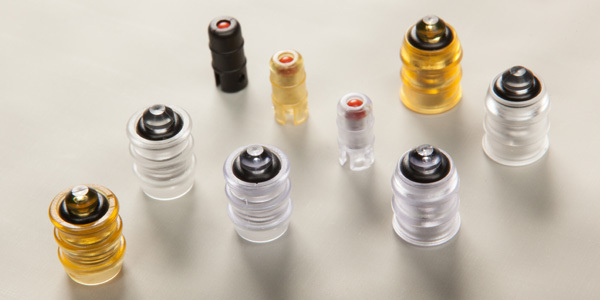 To ensure optimal valve performance every time, it is important to communicate any liquids/gasses used, application environment, and intended shelf life. 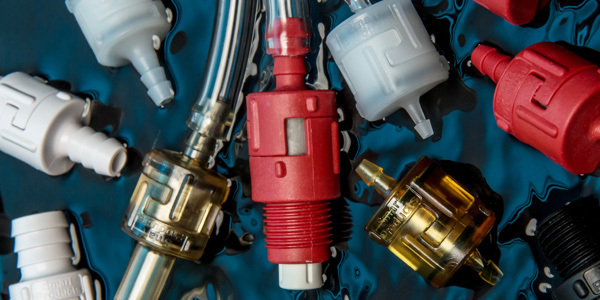 The more we know about your low pressure, low flow needs, the better equipped we will be in selecting the right components to create a precise and accurate product exclusively for your application. Standard cartridge and manual relief bleed valve styles. 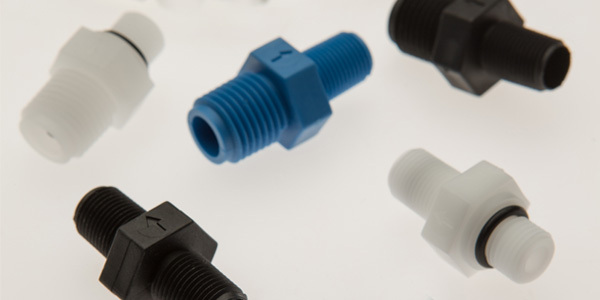 Easily inserted into fitting, manifold, or installed in-line. Sizes range from 1/4" to 3/4"
Barbed, NPT, side seal, and flanged styles. 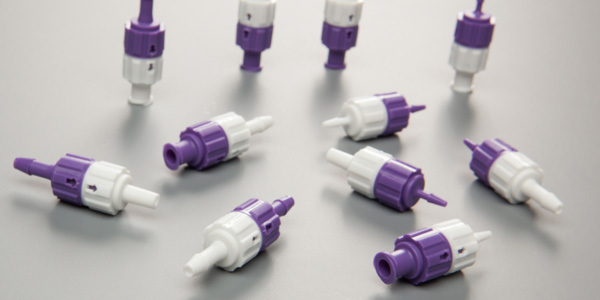 Easily inserted into fitting, manifold, or installed in-line. Sizes range from 1/8" to 5/8"
Male NPT styles plus metric options. Compression tubing adapter available for this series. Barbed, NPT, & more styles. Our most popular series provides maximum versatility with the widest range of options. Flexible modular design - mix and match end fittings. Barbed & Luer styles. Barbed sizes 1/16" and 1/8"